Even though I have been absent here on the blog I have been a busy bee! 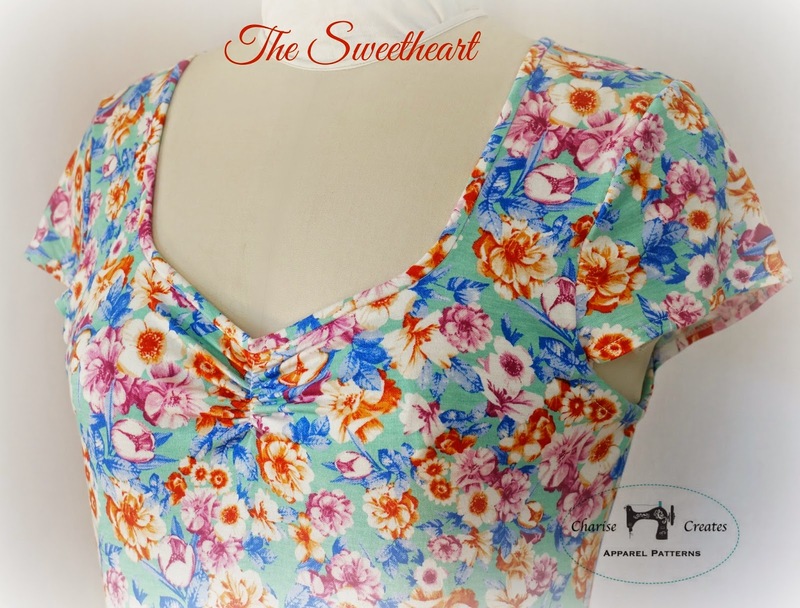 I have been working on my new garment sewing pattern - " The Sweetheart ". It will include both a dress in two lengths and a top with a 1940's inspired Sweetheart Neckline. The style has a flattering fit and flare shape with cap sleeves. It is easy to make and includes instructions on how to professionally finish the neckline with a narrow neckline binding. This is my first sample of the knee length dress with gorgeous rayon spandex jersey from Girl Charlee Fabrics. 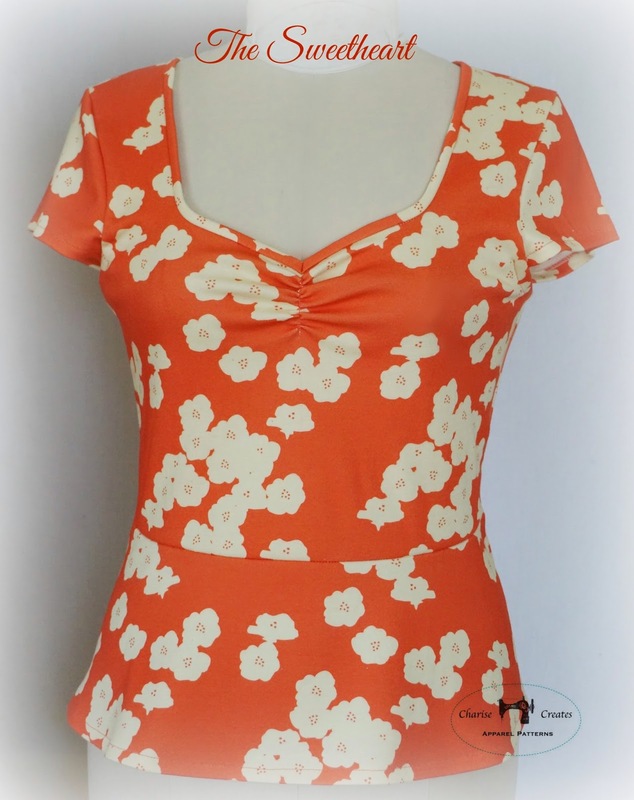 The top is made with Birch Organics interlock knit fabric Poppies Print in Coral. You can find the fabric HERE. OK...time to put my head down and get this pattern done! Makes me wish I knew how to sew clothes, and sew on knits. Pretty! Any idea when this pattern will be ready? I am dying to have it! It's beautiful!